Non Refundable if the booking was made confirm but they can modify or amend the date. We required HKD-100s key Deposit and they can take their key Deposit in their check out date. Ashoka Hostel is a Hongkong Govt. 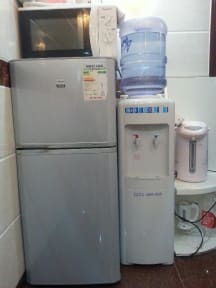 licensed budget hostel, conveniently located in the most popular commercial place in Kowloon, nearby shopping malls, banks, currency exchange offices, bars, all kinds of restaurants and much more. 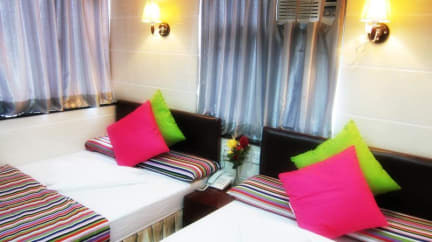 The hostel offers affordable rates, safety, relaxation & comfort. Our friendly staff speaks English and various other languages so all travellers from around the world are comfortably accommodated and can enjoy hassle free communication, service and quality. Ashoka Hostel ensures that all rooms are well maintained, with high standards in order to guarantee an exceptional level of customer satisfaction. We have nice, clean common areas and lockers in the dorms. We provide Ocean Park and Disneyland tickets at discounted rates. Hong Kong Govt. taxes are not included in the price.